The 79th session of the Committee on Housing and Land Management will take place from 4 to 5 October 2018 in Geneva. 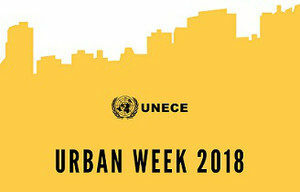 This year’s theme is “Towards sustainable housing and urban development through alignment with the 2030 Agenda and the New Urban Agenda in the UNECE Region”. For more information and to register, please click here. To attend UNECE meetings at the Palais des Nations, you must register in advance online on the relevant conference/meeting’s webpage. For Long Duration badges, please contact the secretariat of the meeting.